Cosmetic dentistry focuses on the appearance of the smile. However, many patients seek cosmetic dentists who can restore beauty to the smile with the safest and most conservative treatments. Cosmetic dentists who take a holistic and biological approach to dentistry are often their top choices for addressing various dental needs. Many patients in Yadkinville, NC, ask, “How can I find a good cosmetic dentist to restore beauty to smile?” The team at Virtue Dental Care is happy to explain the three qualities to seek in a cosmetic dentist. A good cosmetic dentist can improve the health and beauty of the smile by restoring missing teeth. Tooth loss can be detrimental to physical and emotional health and wellbeing. It can lead to teeth shifting, which can make it more difficult to keep the teeth and gums clean and healthy. Emotionally, patients may feel self-conscious about their smiles. A good cosmetic dentist can provide solutions such as dentures, dental bridges, and dental implants to restore natural beauty to the smile and renew confidence. A good cosmetic dentist can brighten a dull smile. Teeth whitening is one of the most popular treatments in cosmetic dentistry. 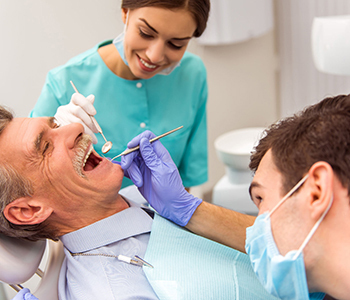 In a single appointment, patients can attain the smiles of their dreams. Teeth whitening can give patients the confidence boost they need to go after the jobs of their dreams. For permanent tooth stains, porcelain veneers may be the ideal solution. Veneers can disguise smile imperfections such as gapped, misaligned, or chipped teeth. A good cosmetic dentist provides innovative orthodontic solutions to straighten teeth. Thanks to advances in dentistry and orthodontics, patients can attain the smiles they have always wanted without metal brackets and wires. Six Month Smiles cosmetic braces are optimal for the teeth that show when smiling. Typically, patients can count on straighter teeth in six months. Invisalign is another innovative orthodontic solution. Treatment involves wearing clear, comfortable professional grade plastic aligner trays that gently move the teeth over time. In 12 to 18 months, patients can welcome more beautiful and healthier smiles. Our dentist, Dr. William Virtue, has been transforming smiles for more than 35 years. He provides all of the aforementioned treatments. To meet with him, schedule a consultation. Virtue Dental Care Patients call (336) 679-2034 and New Patients call (336) 679-2034.